Yamaha’s TransAcoustic and Disklavier Enspire pianos are two advancements within the industry that combine classic elegance with cutting-edge technology, opening up a world of creative possibilities. TransAcoustic technology uses the piano’s soundboard as a loudspeaker, meaning any sound can be delivered through the naturally resonant piano component. This opens a whole world of music-making possibilities, as it allows you to experience the authentic piano action, while using digitally sampled sounds. Music lovers can get creative by combining the acoustic and digital properties of the instrument. For example, use the natural sound of the acoustic piano with a layer of orchestral strings underneath -- the possibilities are endless. In addition, you can play back pre-recorded accompaniment tracks as you perform. And since the instrument is a real, fully strung and resonant piano the natural vibrations combined with the sampled sounds offer a realism like no other digital instrument on the market. Yamaha’s famed entertainment piano; the self-playing instrument allows anyone to hold a concert in their home. Choose from an upright or grand piano with the Disklavier system and enjoy the superb quality of an acoustic piano with a great action and tone, while also utilising its capabilities as a self-playing piano, adding orchestral backing, recording performances to play back or choosing from a library of music. The Disklavier Enspire can reproduce every single nuance of a piano performance using infrared sensors underneath the front of the keys, as well as on the hammers. The sensors monitor exactly which keys are played, with how much speed and force and how far each key depresses. This is important because the timing of a player’s key release determines the exact timing of each damper coming down on the string, which contributes to the overall musical message the pianist wishes to convey. What makes the Disklavier Enspire piano unique is the amazing accuracy with which the system can reproduce every single articulation of a piano performance, including the speed with which a key is released. All the data collected by the infrared sensors is saved and then converted into a MIDI file ready for you to download and play back. You can access the system, and Yamaha’s online music store, wirelessly through your iOS or Android device and control the piano through your phone, wherever you are. The Disklavier Enspire piano has 500 built-in songs and over 6000 musical performances to download and enjoy, so you are sure to find something to suit the mood. 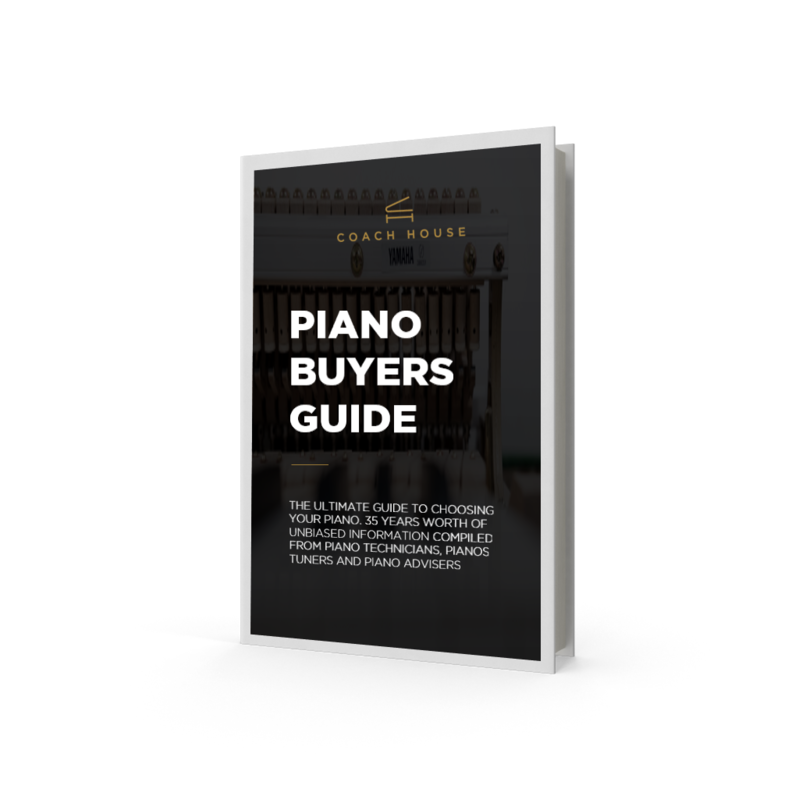 If you are interested in TransAcoustic or Disklavier pianos then Coach House Pianos are happy to help. Browse our range today and call on 01792 584 584 for more information.